I was most surprised by the huge size of vegetables when we first moved to the US. I would almost always end up using half and throwing the rest. This was particularly true with cauliflower and cabbage. Now with years of practice, I have learnt to use them in different interesting recipes. Just a few days back, I got a gigantic cauliflower in my online order. I used in every possible way from gobhi matar, pakoras and stuffing, and still there was some remaining. After dinner, I joked with my Mom, that the only thing I hadn’t used it was for dessert. And to my surprise, she said we could…I couldn’t believe it…can you imagine GOBHI for DESSERT? doesn’t it sound weird? Well howsoever weird it might sound, when I tasted the gobhi ki kheer,I was absolutely speechless. It was delicious! 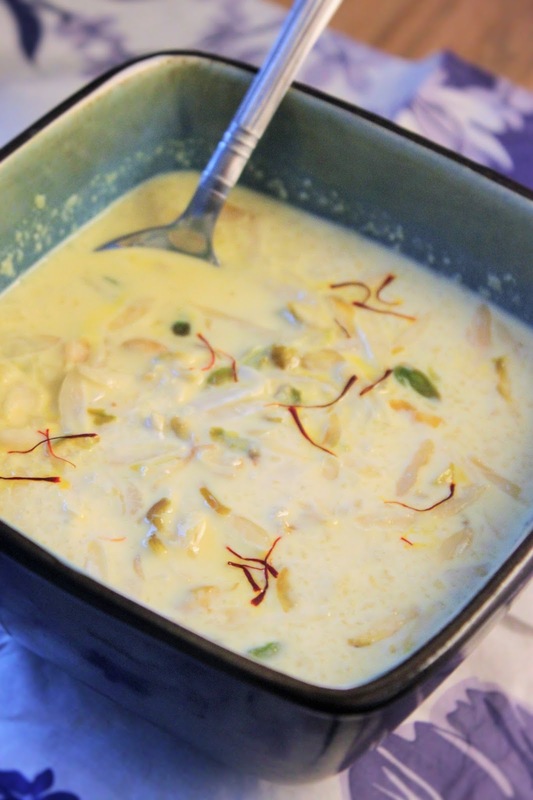 So next time you are in mood to be innovative…try this melt- in- your-mouth kheer. 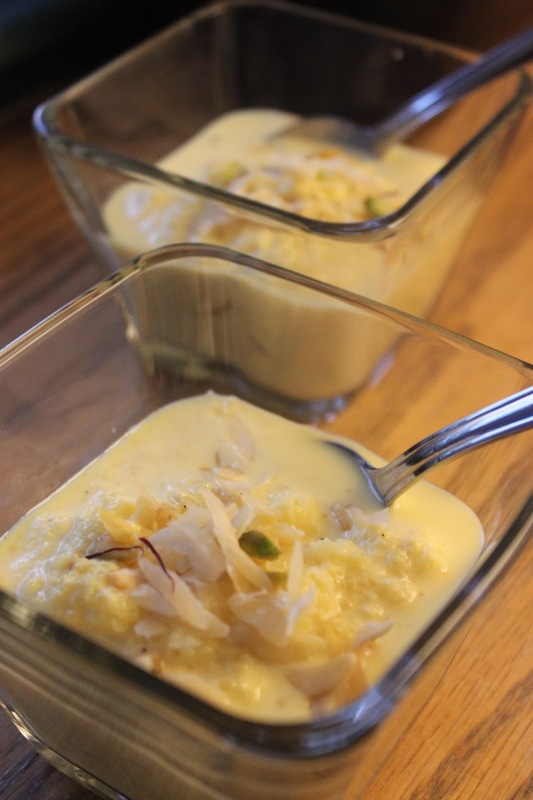 I would call it a cross between ‘Phirni’ and ‘Rabdi’. Also, challenge your guests to guess the main ingredient…I am pretty sure, you would win a bet! !